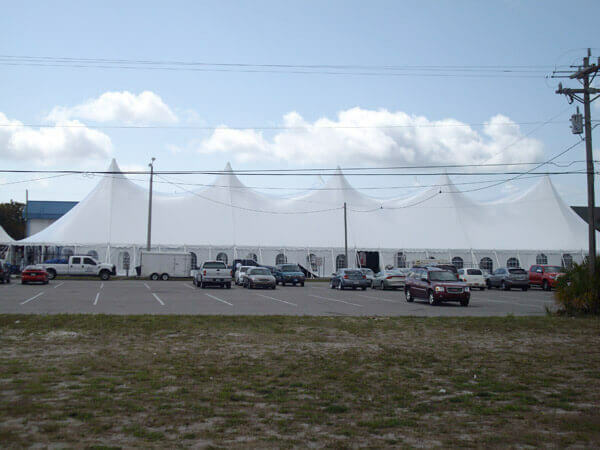 Grimes offers a wide range of event tents to ensure that we have the best party tent rentals to suit your event needs. We are able to bring any vision or event to life and make your party, wedding, gathering, or special occasion absolutely perfect. 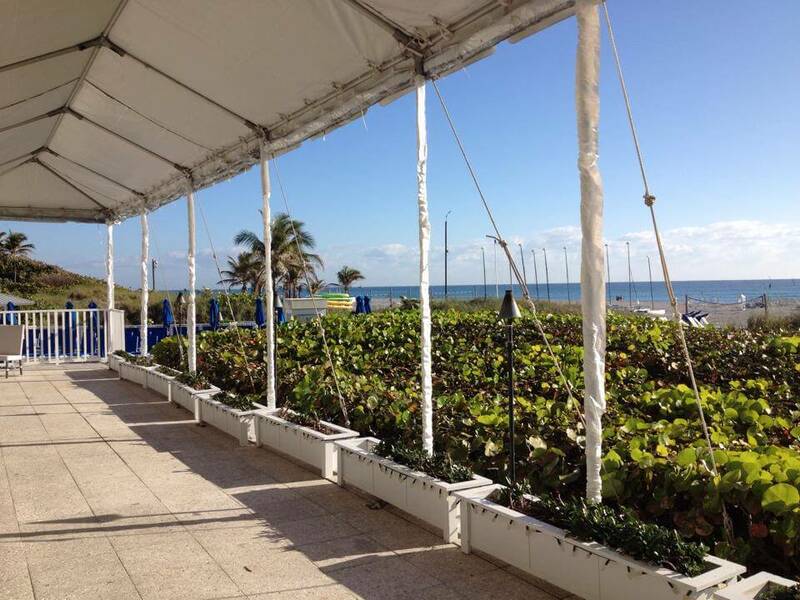 We have you covered (in the tent or canopy you prefer). 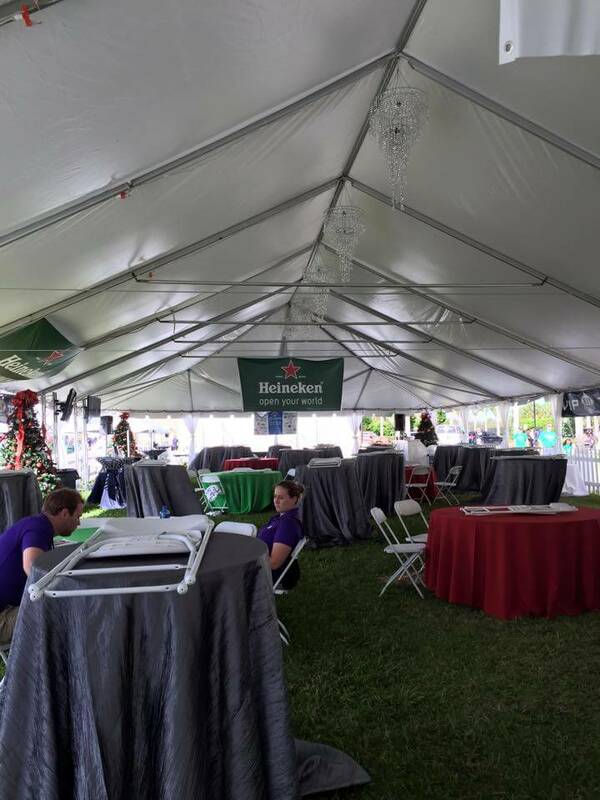 Reserve your perfect event tent and everything to go with it including: table rentals, indoor and outdoor party lounge furniture, event chair rentals, custom lighting, fans and air conditioning, led furniture, awesome indoor piping and draping rentals, portable flooring including dance floors and stages, and all the accessories your event may need. 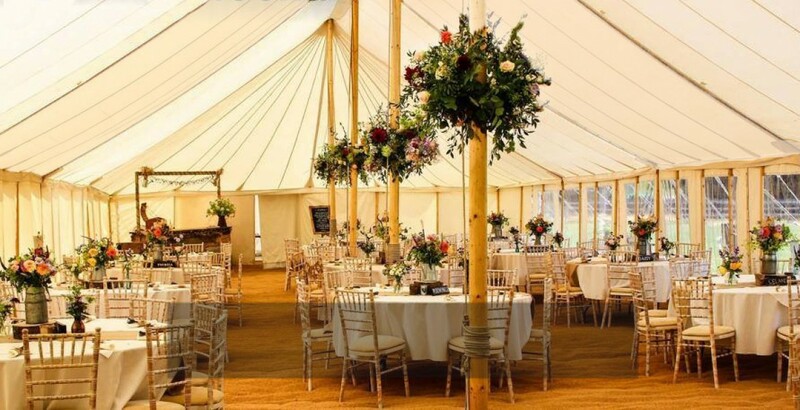 What is a frame tent? 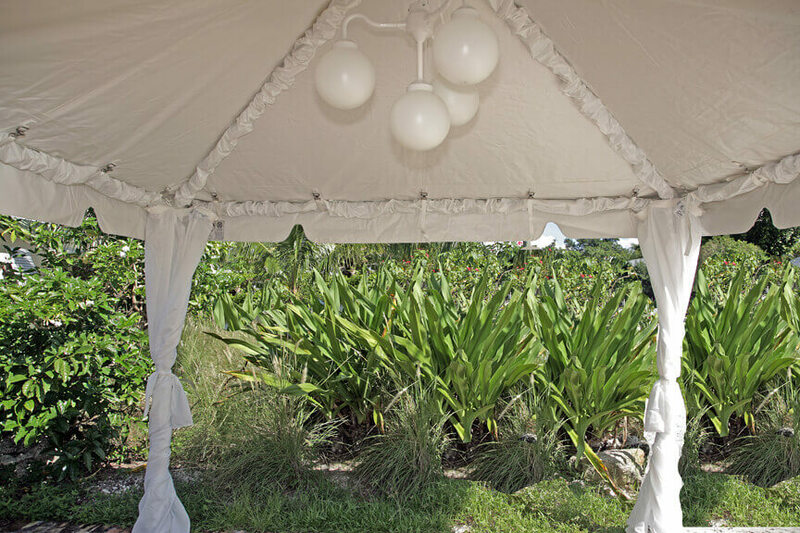 The simple answer is… a tent without poles as poles often get in the way of seating and guest movements. 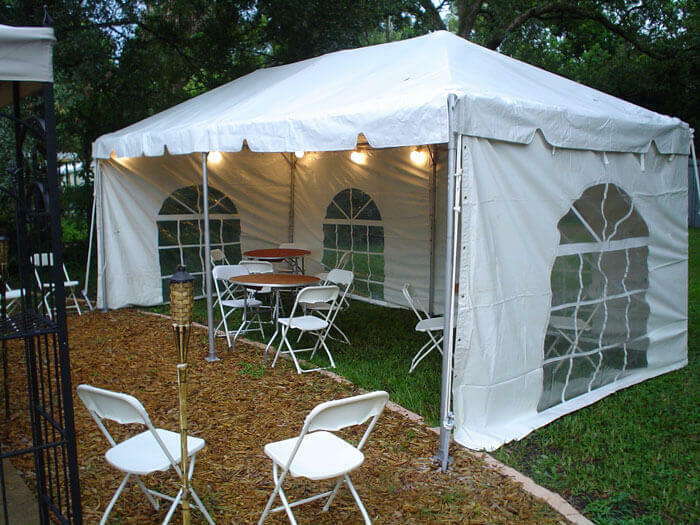 With a frame tent, we start your party tent rental by building a strong structural frame to support the tent, hence the name. 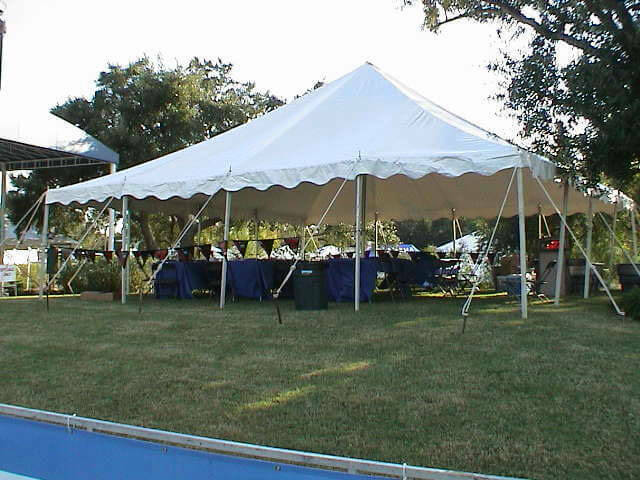 Frame tent rentals are great for events and locations where minimal staking and no center pole is desired. 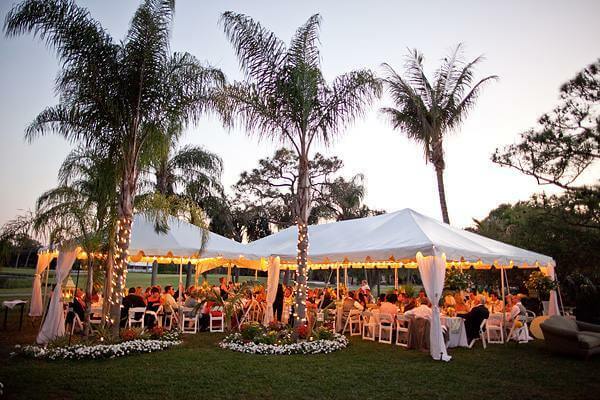 They are beautiful and by far the most requested of any tent when it comes to weddings, receptions, large parties, and bigger events. 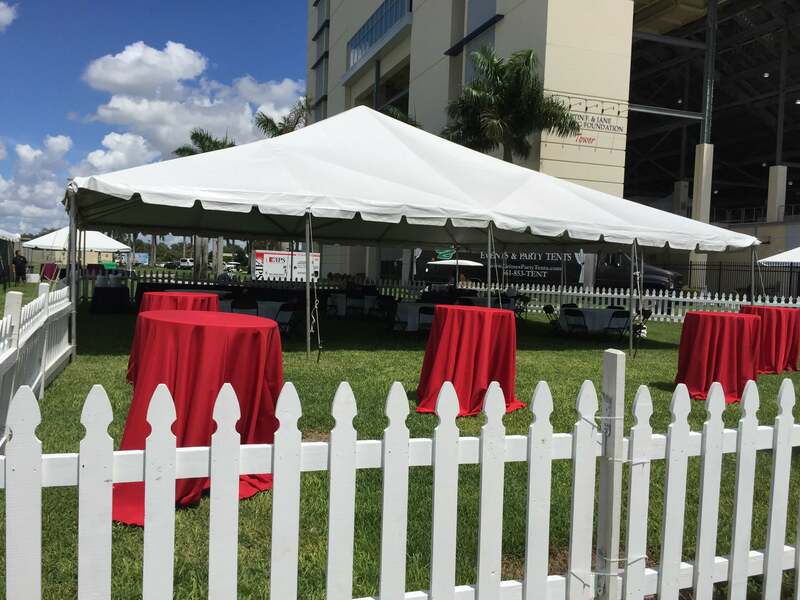 Distinguished by clear, unobstructed interiors and meticulously machined components for professional-looking interiors, the Frame Tent Rental is an incredibly rugged, attractive and versatile system that will impress you and your guests. 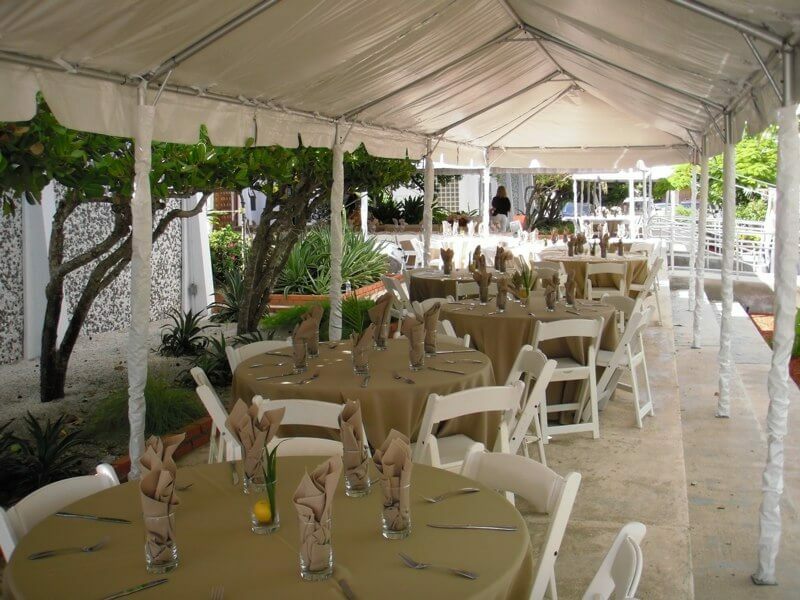 Our event tents are perfect when you need party tents and events decor. You don’t need tent upgrades! 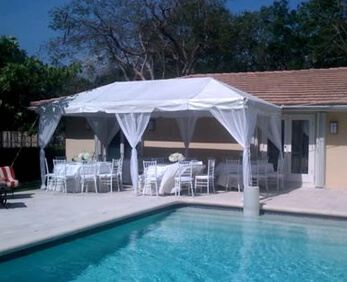 Our tents are amazing on their own. 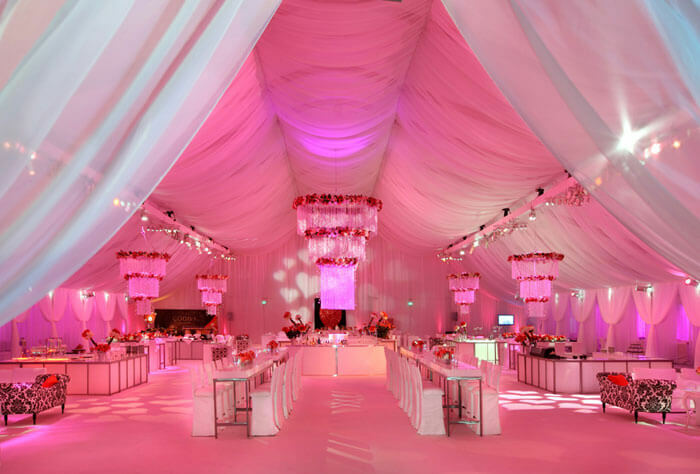 But as with most things, upgrades and accessories can make a huge difference, and potentially transform a good event into a great one. Plus, the possibilities for ‘personalizing’ your party are endless. 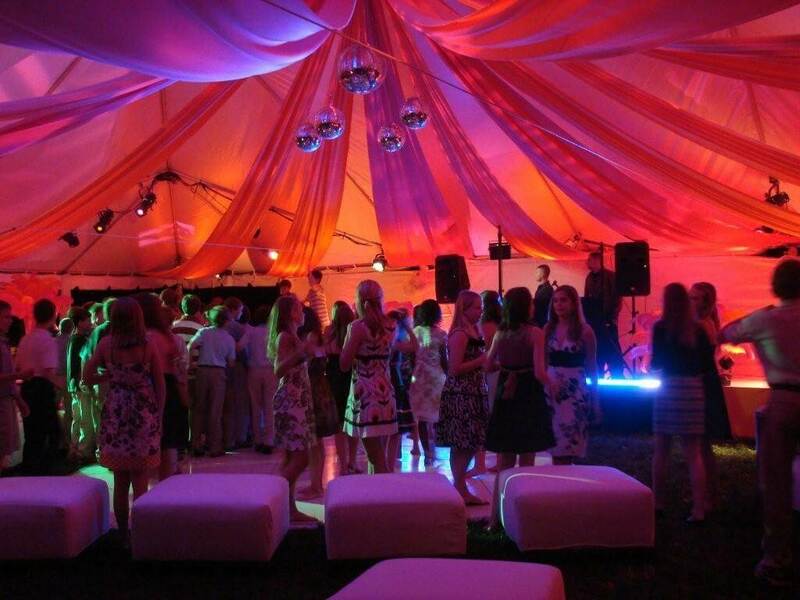 When renting a party tent from our event tents for your special occasion there are a wide array of possible party tent upgrades to customize your end result. If you have any specific requests (or would like a certain array of upgrades to align with your theme or social event), don’t hesitate to call one of our customer service specialists who will be glad to help with pricing and details. 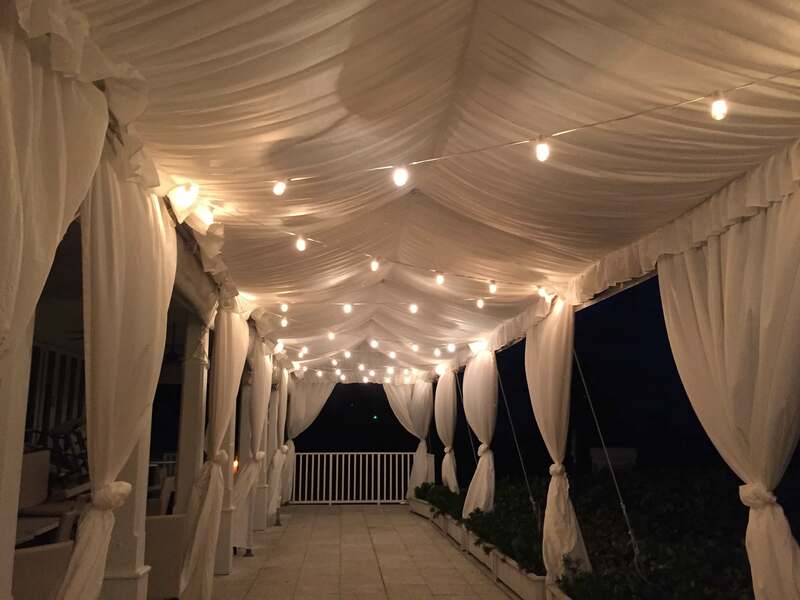 A few options include: globe chandeliers, tent liners, leg drapes, Italian market lights, side curtains, sleeved legs, Chinese paper lanterns, fencing, ropes, colored lighting, led furniture, pipe and drape, lounge furniture, and more. 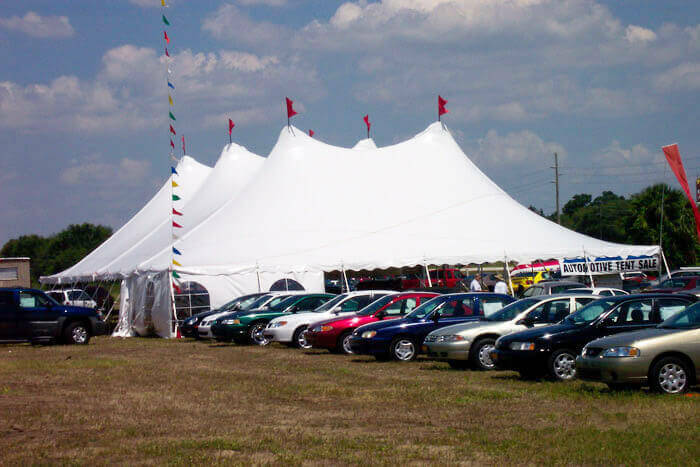 What is a pole tent? 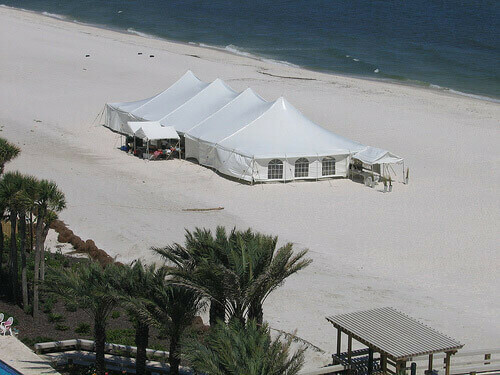 A pole tent rental has central support pole(s) in the middle of the tent. In the world of tents, the pole tent has been the premier tent for generations because of it’s beautiful design and feel. 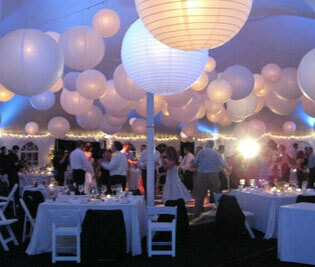 For many events the pole is a big part of the ambiance, an element to the design that really enhances the decor. 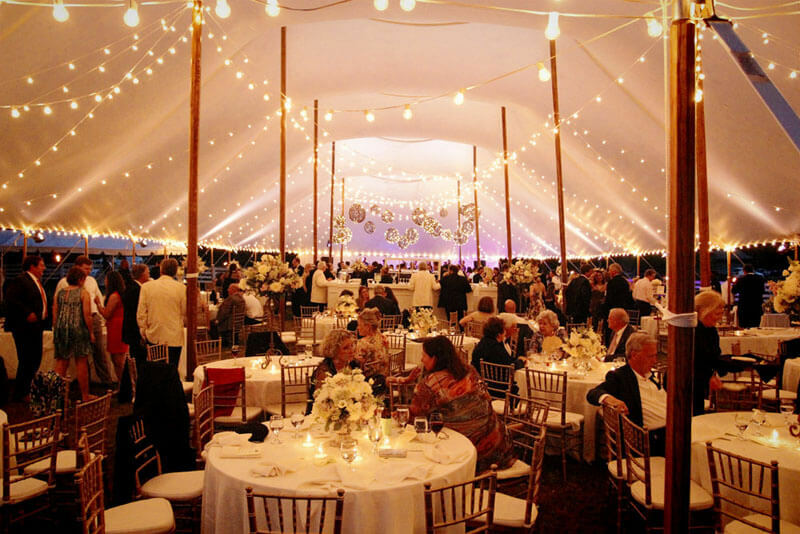 BUT… If you don’t want a pole in the middle, have space limitations, or need an open area in the center, then the frame tent (or another tent) is more often a better choice. 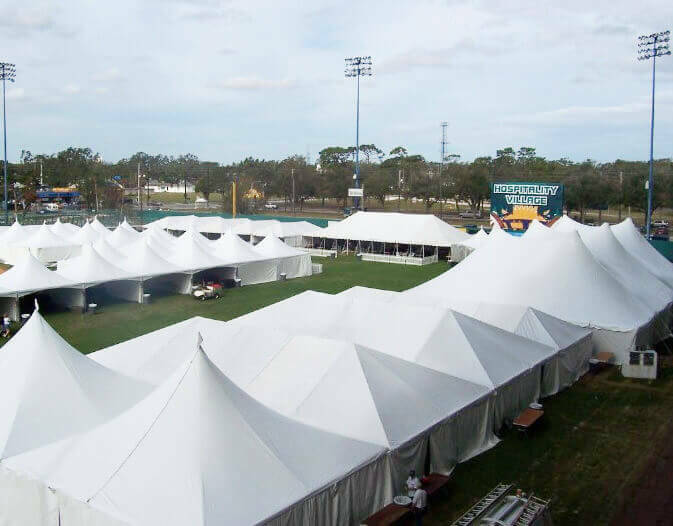 Structurally and aesthetically, pole tents are made of a heavier covering and require at least one center pole, numerous side poles, and extensive staking along the perimeter of the tent. 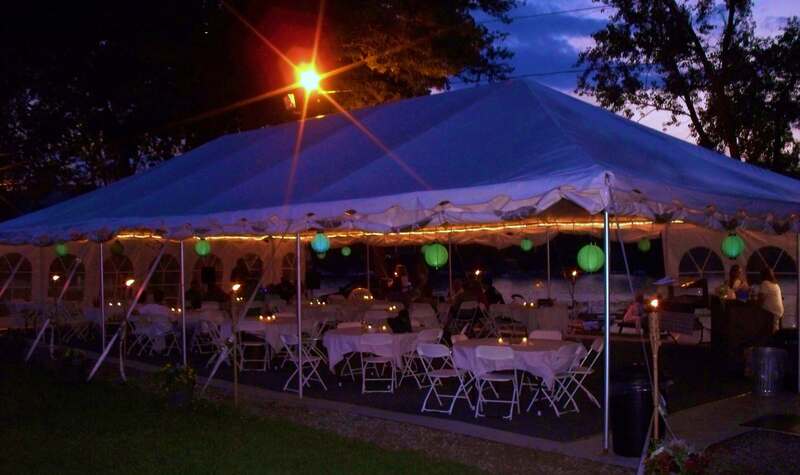 Pole tent rentals require central poles in order to stay upright so there simply is no way around having them. 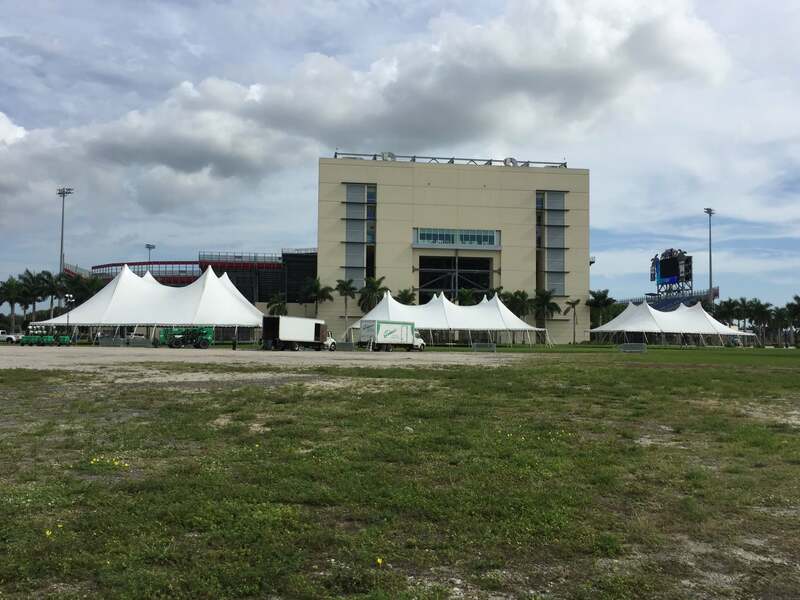 Century event tents are tent mods! 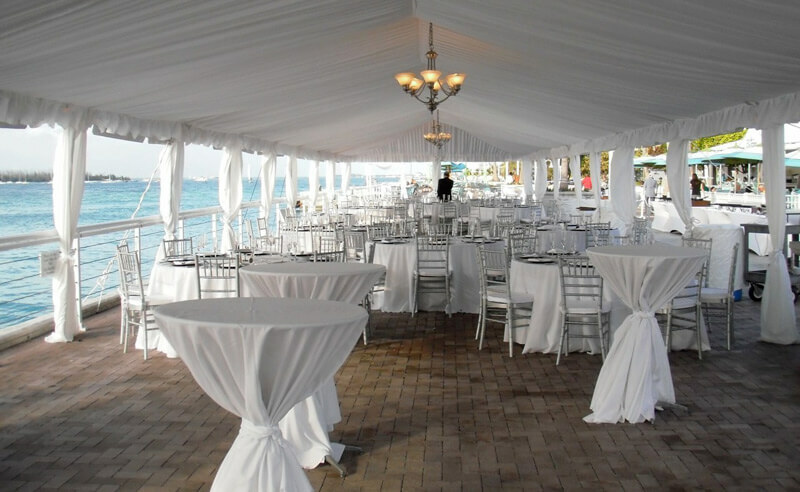 They are large tent structures and sections that can stand alone or be combined together to form custom arrangements and layouts. 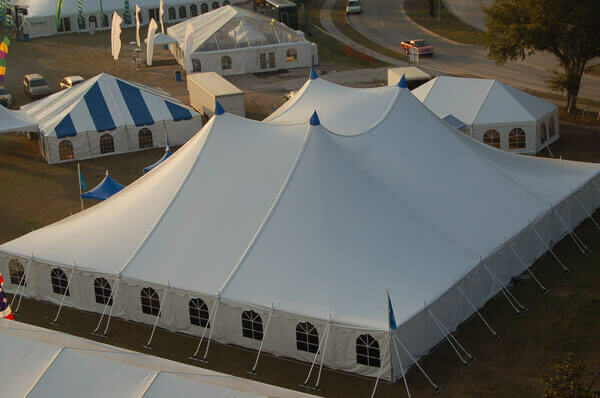 The new century tent rentals system is comprised of ends, middles and unique center sections that adapt to virtually any configuration your events demand. 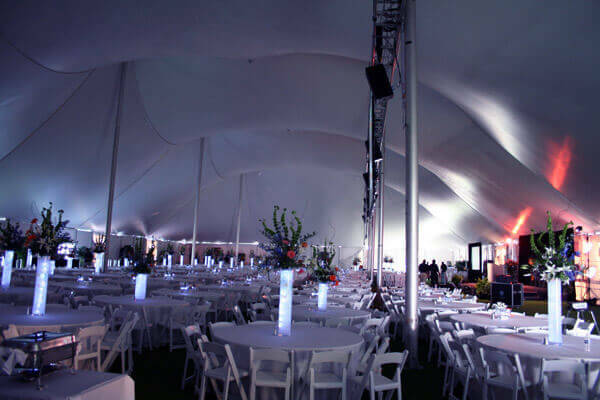 Century tent rentals gives you thousands of square feet of unobstructed inner space to work with and they can be adapted to any spacing conditions. 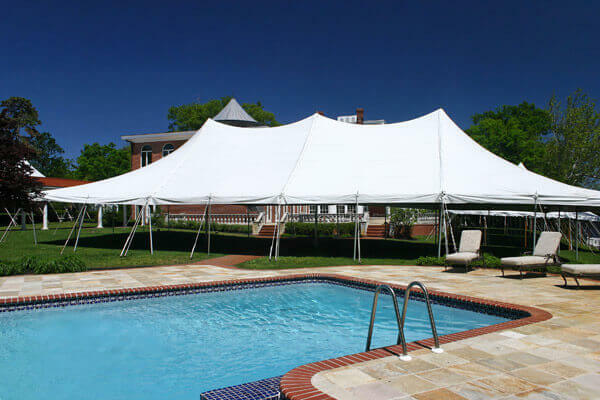 Super strong and reliably durable, these tents are held together by powerful sturdy tension elements, and when used in conjunction with Anchor’s web tension bars, they provide amazing stability. They are also great in bad weather, as the lace lines are protected by an innovative seal that keeps rain out! 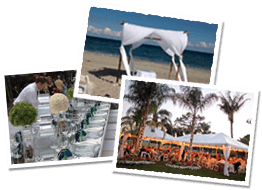 We are South Florida's premier tent rental and event tent specialists, operating out of Delray Beach, and covering parties, weddings, & events in Boca Raton, Lake Worth, West Palm Beach, Wellington, Boynton Beach, and all over Palm Beach County as well as all the breadth of Broward down to Fort Lauderdale. With the help of our partners and our highly trained staff... we will give your party or event the ambiance it needs to succeed.